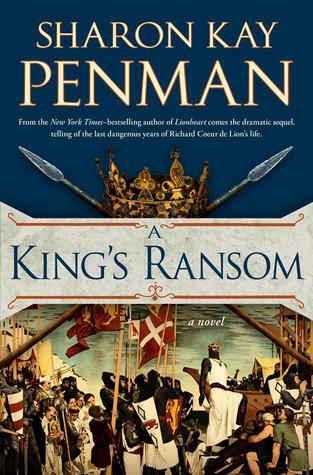 From the New York Times-bestselling author of Lionheart comes the dramatic sequel, telling of the last dangerous years of Richard, Coeur de Lion’s life. This long-anticipated sequel to the national bestseller Lionheart is a vivid and heart-wrenching story of the last event-filled years in the life of Richard, Coeur de Lion. Taken captive by the Holy Roman Emperor while en route home—in violation of the papal decree protecting all crusaders—he was to spend fifteen months chained in a dungeon while Eleanor of Aquitaine moved heaven and earth to raise the exorbitant ransom. But a further humiliation awaited him: he was forced to kneel and swear fealty to his bitter enemy. I couldn't decide which cover to include here so I put 2 of them, different but yet both reflecting the time period. Part of me thinks that if I just say the words 'Sharon Kay Penman' than everyone should nod their heads and understand my feelings here. That they would know her name is synonymous with epic historical fiction, door stopper sized books and has the ability to cause one to mourn figures long departed this world. 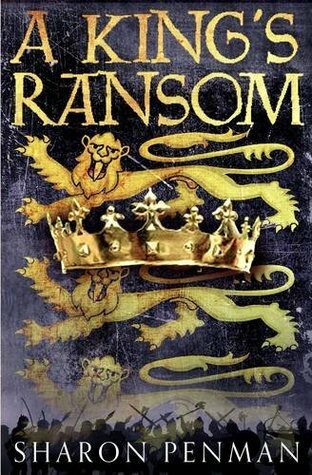 I love reading a time period that I know next to nothing about and A King's Ransom is one of those time periods. 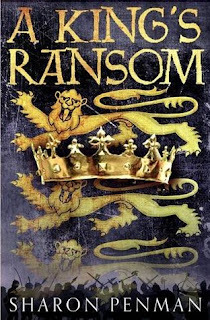 The 5th book in her Plantagenet Series, though it does work as a standalone I highly recommend starting at the beginning with When Christ and His Saints Slept. It's been awhile since I finished Lionheart but SKP was able to get me up to speed in no time, not with drawn out scenes but enough to refresh my memory. What I loved about this series is the authors ability to make everything extremely realistic. I could feel the fear and anxiousness of Richard and his travelers as they try to make it across Europe undercover. His capture, sub sequence captivity and then the aftermath of adjusting to life again showed his physical and emotional state, humanizing him. There is more that I would love to say and expound on, but I must stop myself for fear of spoilers, I don't want to give anything away of this wonderful book. This book wasn't just about Richard, but his sister Joanna and the ever courageous Eleanor. It was sad to say goodbye to them all and I will admit that this was one of those books where I had to take a breath (or two) before I could start something fresh, such emotional writing. Suffice to say Sharon Kay Penman is a favorite of mine, it isn't hard to get lost in her books. I have taken to going to ebook route for the sheer fact that my arms get tired holding her books (they are huge). I had the awesome opportunity this past June of not just meeting her but talking with and listening to panel discussions that she was involved in. An absolutely friendly lady, she took time to chat, eager to listen to me - it was truly a privilege. Great review. I love books that you can get lost in. I, of course, have heard of SKP but sadly haven't picked up one of her books yet. I believe this series has been on my TBR list for years and years. Look at you schmoozin' with all these authors!! Awesome! Great pic too! SKP is the best in her field and, Laurie, I almost feel jealous knowing what u have to look forward to when u do finally start reading her books! 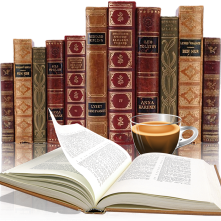 Good reading to u!